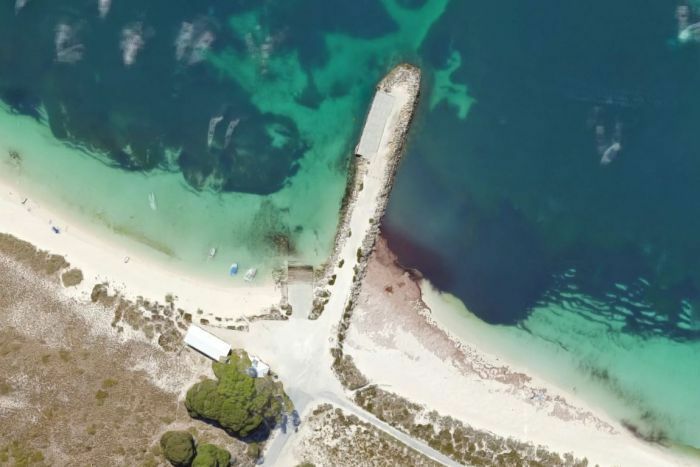 Rottnest Island’s Army jetty, which collapsed injuring three people in October, was poorly managed and the island’s governing authority appeared not to have properly responded when risk issues were raised numerous times, a review has found. 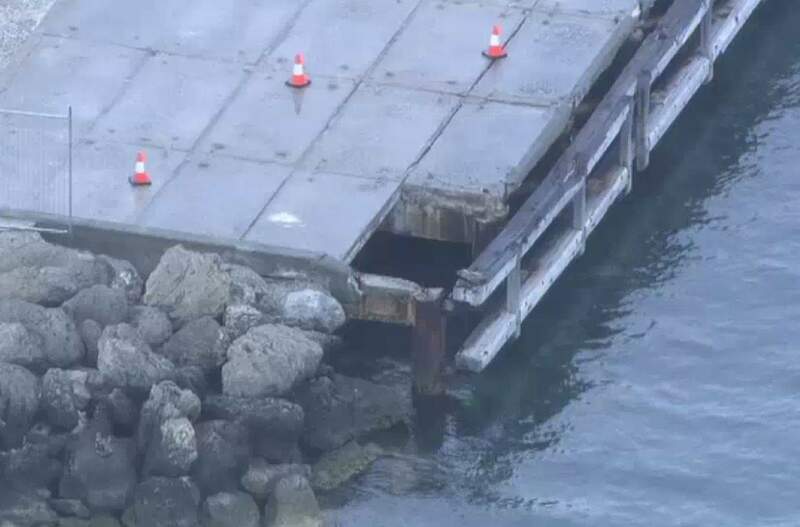 The report by auditor KPMG, tabled in State Parliament today, revealed the Rottnest Island Authority (RIA) could only provide evidence of one inspection of the ageing jetty from late 2014 until the accident, when it was directly responsible for maintenance. “Risk management activities did not adequately capture and respond to Army Jetty risk”, during much of the eight years before the collapse, KPMG concluded. Tourism Minister Paul Papalia told Parliament today management of the jetty “left a lot to be desired”. The collapse of the jetty’s concrete deck was likely caused by a failure of corroded steel reinforcements that could no longer support the weight of the concrete panel, or by a “widespread loss of bond between the corroded tensile reinforcement and the concrete”, a separate engineering assessment conducted by Walbridge Gilbert Aztec found. An 11-year-old boy and his 48-year mother, both visiting from Britain, were fishing off the jetty at the southern end of Thomson Bay with a 63-year-old relative when the accident happened about 6.20am on the morning of October 24 last year. All three were thrown into the water after the structure gave way. The boy suffered head injuries and was unconscious as his mother tried to keep his head above water, even though her leg was trapped in the rubble. Her partner also jumped into the water to help. 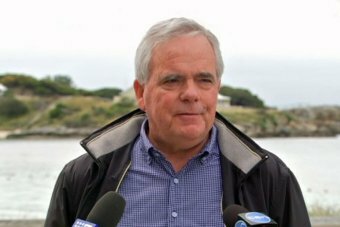 David Hawks, an 80-year-old sailor who was asleep on his nearby yacht when the accident happened, paddled across in his dinghy to rescue the boy and took him back to the beach. Sergeant Phil Cartledge, from Rottnest Island police station, arrived and dived underwater to help free the mother. The 63-year-old woman also suffered leg injuries. KPMG’s inquiry examined the causes of the accident and assessed the RIA maintenance processes and systems. In June 2010, a structural condition assessment of the Army Jetty led to it being closed to boats and vehicles and access maintained only for pedestrians. But KMPG found in the period from June 2010 until the date of the accident last year “there were a number of additional occasions where the condition of the Army Jetty was raised in which the RIA could have addressed risk-based issues and recommendations”. KPMG stated that good practice required “structured asset management processes to keep it safe and serviceable”. “However, asset management practices over the Army Jetty during the review period did not meet recognised good practice”. A marina was planned to be built at the site of the Army Jetty during the years between 2012 and 2017, and although it never happened, the report found on at least on one occasion a decision to improve the condition of the jetty was influenced by the potential marina development. 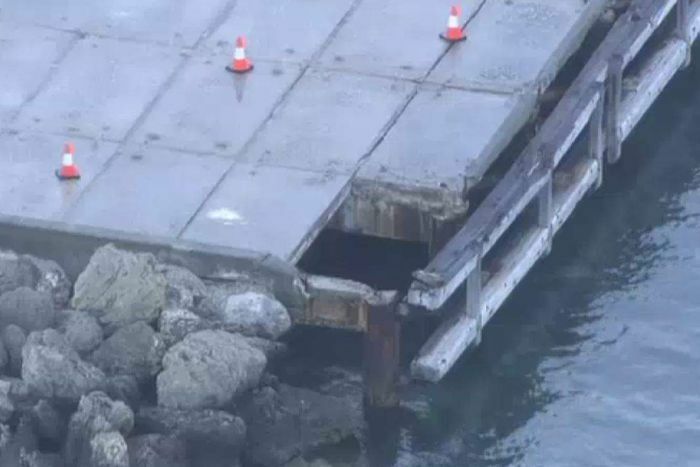 It also found the RIA’s lack of clarity over responsibility for maintenance of the jetty, which was licensed to the Department of Transport, “directly impacted decision making in relation to maintenance of the Army Jetty on at least one occasion”. The authority created an Asset Management Policy in 2016, but the report said it was not put into practice in relation to the Army Jetty. KPMG noted that not only could the RIA show proof of only one inspection in the period between October 2014 and the accident, but that any inspections from 2010 onwards were “largely limited to visual in nature”. It said recognised good practice asset management required detailed inspections by qualified engineers every two-to-five years. 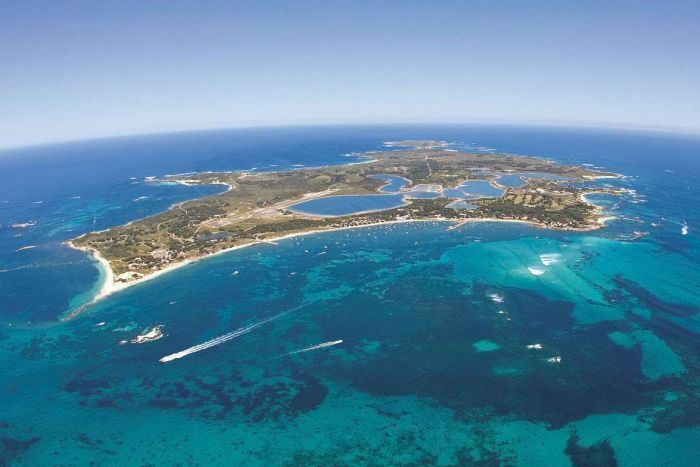 Another problem identified in the report was that jetties on Rottnest Island, including the Army Jetty, were excluded from a formal risk management process, “which would have assisted to inform monitoring and maintenance strategies for the Army Jetty”. KPMG recommended an asset management plan for the jetty and a risk assessment by the RIA. The concrete panels have now all been demolished leaving just a rock groin. 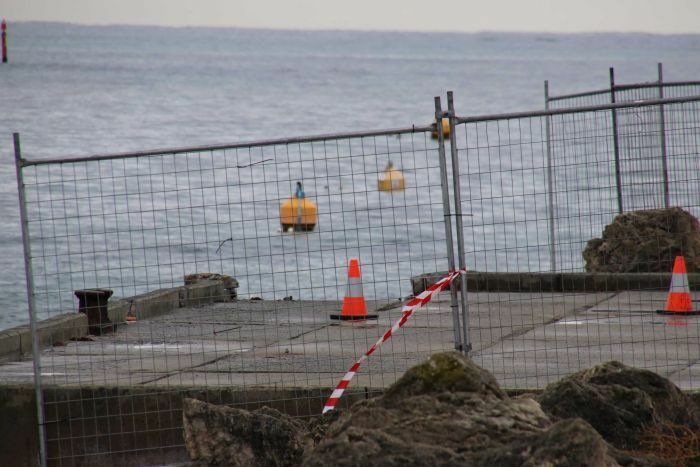 Mr Papalia said even though the jetty’s inspection record “was not good and not well documented” he saw no value in blaming previous ministers, RIA board members, or officials. Lachlan Palmos from Palmos Legal said he was advising two of the people injured in the incident on a possible damages claim. He said their injuries were “significant”. RIA chairman John Langoulant would not talk about why there had been maintenance failures by the RIA in the past, saying he could not talk for people who ran the organisation before him. Asked if he had looked at why the RIA had not properly responded when the condition of the jetty was raised numerous times, Mr Langoulant said “all I can give you an assurance of is if we get a report like that it will be responded to, absolutely”.